Originally from Canada, Dr. Mahabir completed a five-year integrated and accredited Plastic Surgery Residency at the University of Calgary in Alberta Canada. Dr. Mahabir simultaneously earned a master’s degree with a focus on postoperative pain control. 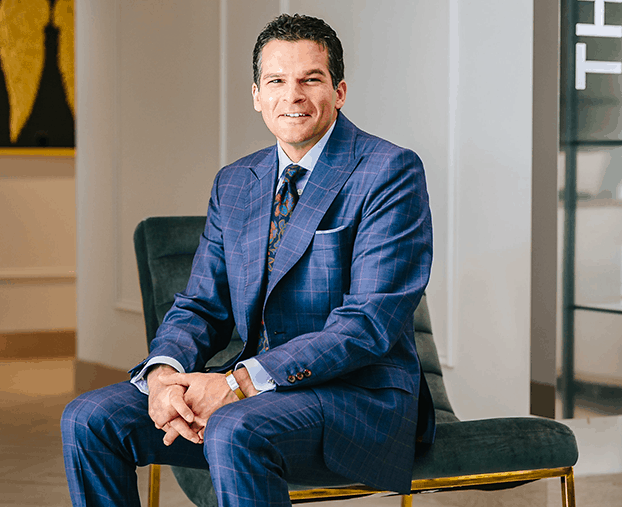 To ensure he would be able to offer his patients unsurpassed care, he completed two fellowships at the University of Las Vegas in Aesthetic /Breast Surgery and Microsurgery. Dr. Mahabir chose to pursue an academic career after the completion of his training. The first stage of his practice was at Baylor Scott and White in Texas. While there, his practice focused on complex breast, body, and facial cosmetic and reconstructive surgery. He quickly built a reputation as a caring physician with outstanding outcomes. His contributions to education, which twice earned him the teacher of the year award, and research endeavors (over 80 publications and hundreds of presentations nationally and internationally) eventually lead the Mayo Clinic to hire him to be the Chair of Plastic Surgery in Arizona. While at Mayo Clinic, Dr. Mahabir was promoted to full professor and received numerous academic awards. Dr. Mahabir has a particular interest in Breast surgery. His passion for helping breast cancer patients regain a sense of wholeness following mastectomy led him to spend time in Washington DC where he was part of the team that successfully had the “Breast Cancer Patient Education Act” signed into law in 2015. Dr. Mahabir performs body contouring and has become one of the notable plastic surgeons in the field. His vast experience with the DIEP flap has given him unique insight into the mommy makeovers and tummy tucks. He also performs brachioplasty, thigh lifts, liposuction/liposculpture, and correction of excess skin following massive weight loss (body lift). In addition to cosmetic surgery of the breast and body, Dr. Mahabir offers the state-of-the-art techniques in both surgical and non-surgical facial rejuvenation and skin care. Dr. Mahabir’s reputation as a cosmetic facial surgeon in the Phoenix / Scottsdale area has been built on his ability to achieve natural results and a more refreshed look for his patients without being “overdone”. Whether it be a facelift, eyelift (blepharoplasty) or brow lift, Dr. Mahabir can help give you the youthful look you deserve.